Domestic air freight logistics can play a critically important role in your manufacturing business. As a manager of a manufacturing outfit, you know that the phrase “time is money” is not simply a cliché. Manufacturers run strict deadlines to ensure that orders are filled and products get out of the factory to their final destinations quickly. 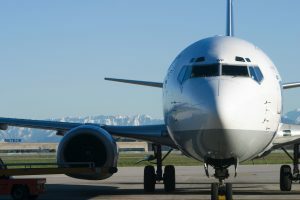 Having a thorough domestic air freight logistics plan in place with an experienced company like AFP Global Logistics can help you streamline your processes, get products out to market quickly, and even keep your factory running at peak productivity. Domestic air freight logistics allows manufacturers to ship products out to destinations quickly. Air freight logistics is more flexible with timetables and can accommodate a greater variety of cargo than ground freight. For example, a client places an order for a part that is required to bring a plant back up to operational status. That client needs to have that part as quickly as possible as they are losing money every day that the plant is shut down. Domestic air freight logistics allows you to get that part out to that client as quickly as possible without having to worry about freight restrictions or long timetables. When you partner with AFP Global Logistics for your domestic air freight logistics needs, you’re signing up with a provider with over 25 years of logistics experience. We can assist you in streamlining your processes and provide a seamless experience for your air freight logistics. With our extensive network, wide access to domestic flights, and meticulous attention to departure and arrival times, we guarantee that your shipment will reach its destination on time so that your client can get back in business. This entry was posted on Thursday, March 16th, 2017	at 2:35 pm	and is filed under Domestic Shipping	. You can follow any responses to this entry through the RSS 2.0	feed. Both comments and pings are currently closed.